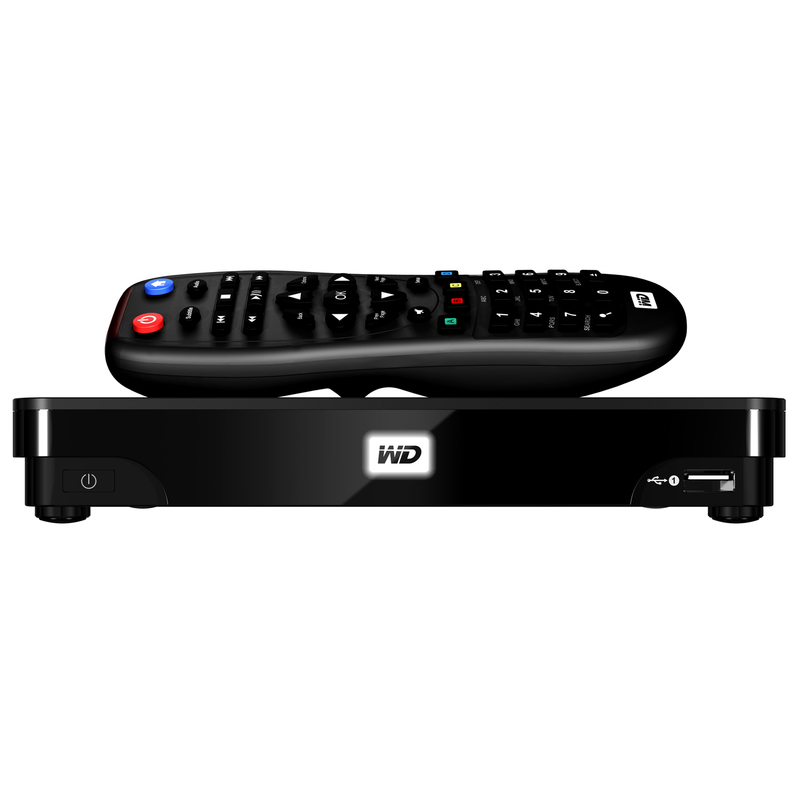 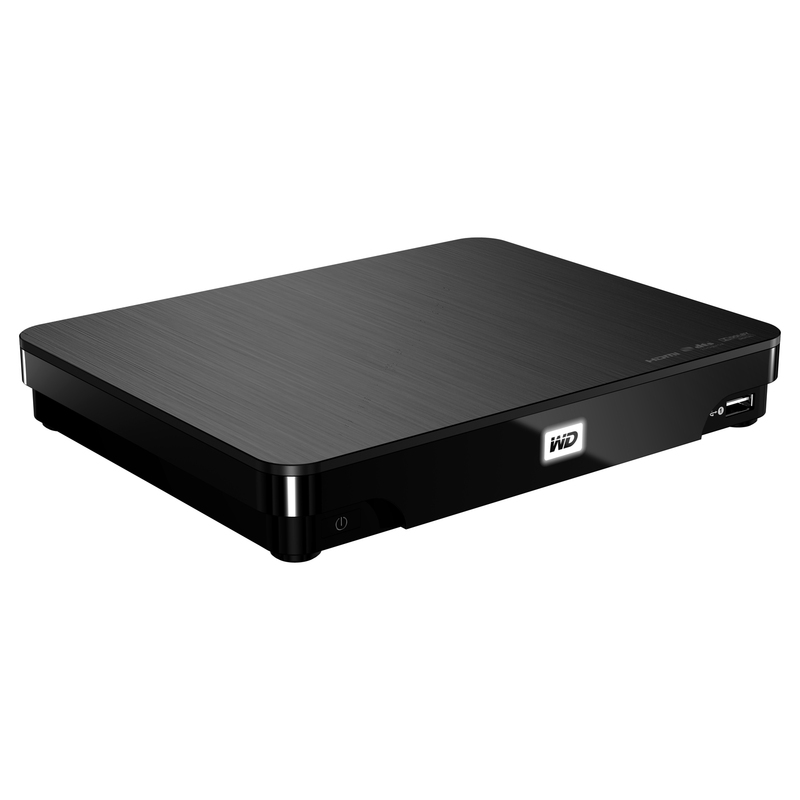 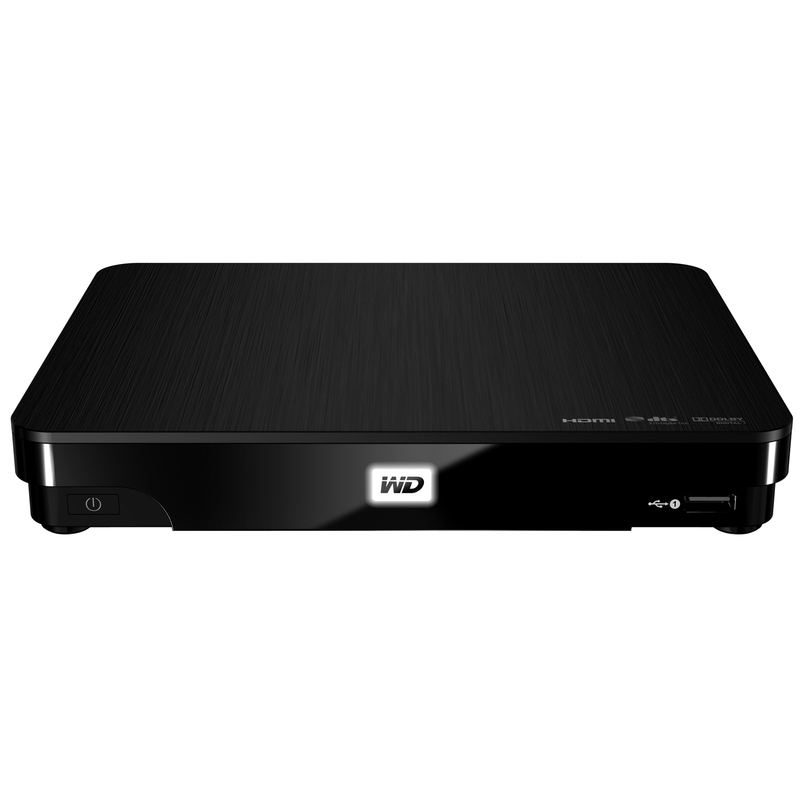 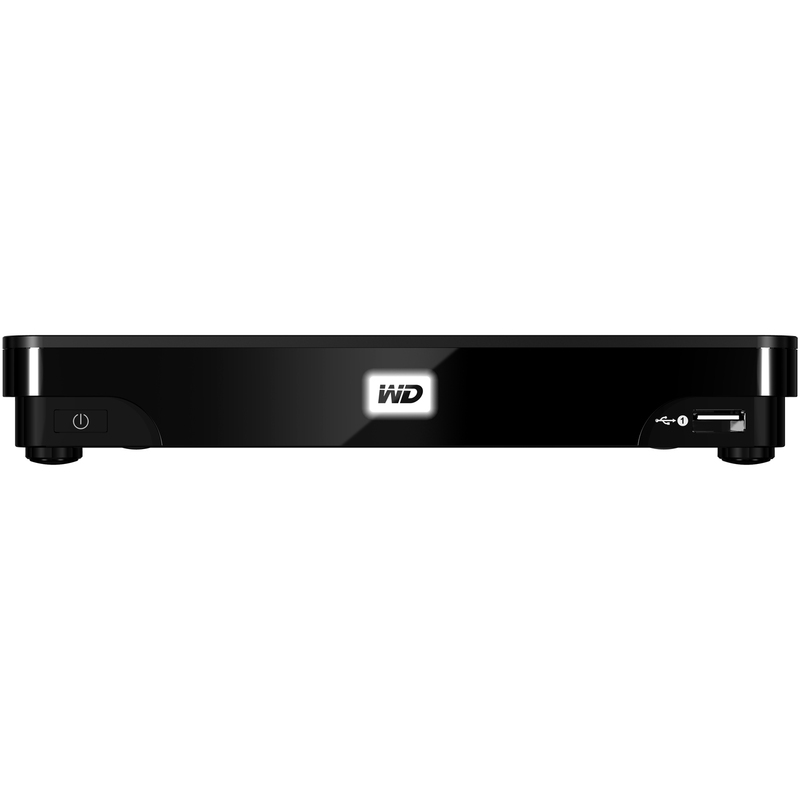 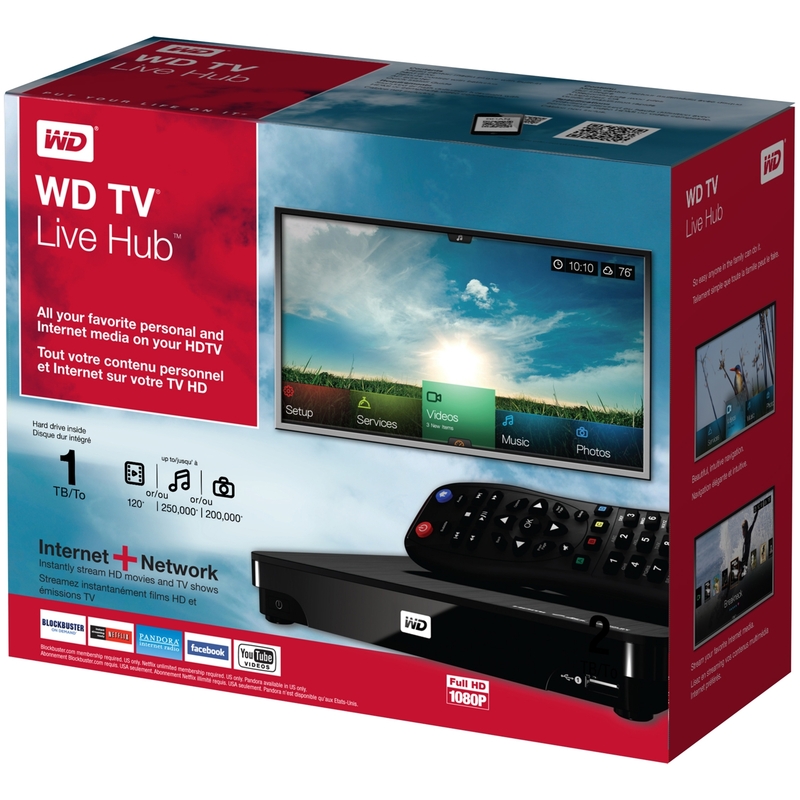 The WD TV Live Hub media center supports a large variety of the most popular file formats, such as .mkv, .mp4 and .mov, it also can stream videos, music and photos to any DLNA/UPnP-compatible TV or multimedia device, including iPads, iPhones or Android smartphones using third-party applications. 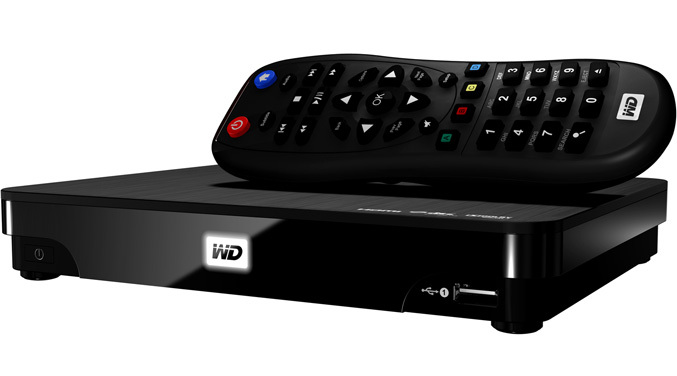 The media center offers also a Facebook integration, which lets users upload photos, share their status, view their… simply do all on the big screen TV. 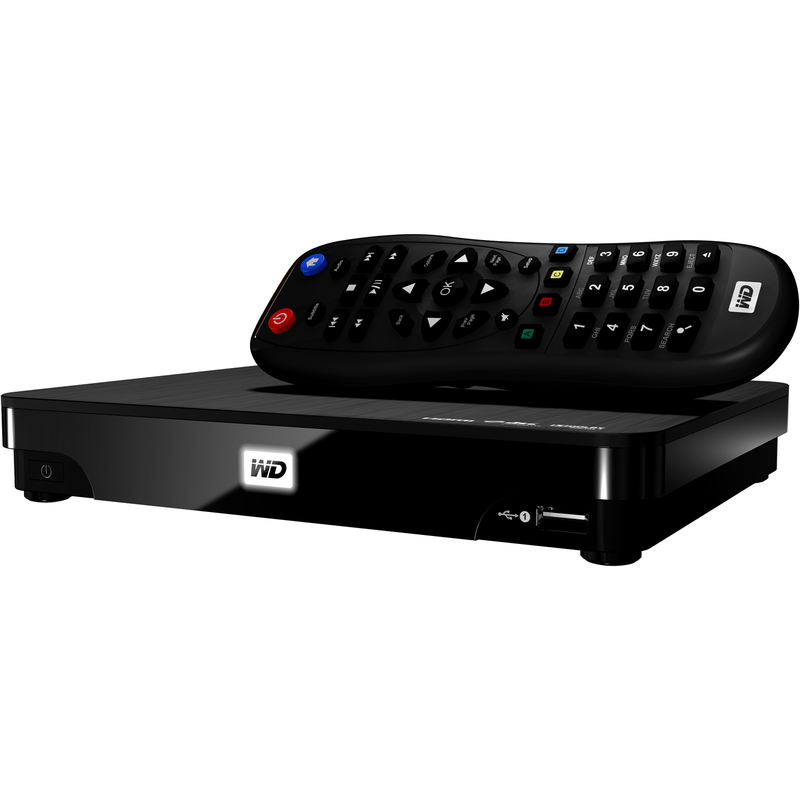 Also access to Netflix, YouTube, Flickr, Pandora and Blockbuster On Demand services, as well additional content includes local and international weather forecasts from AccuWeather.com, and MediaFly daily video podcasts from CNN, NBC, MTV and ESPN. 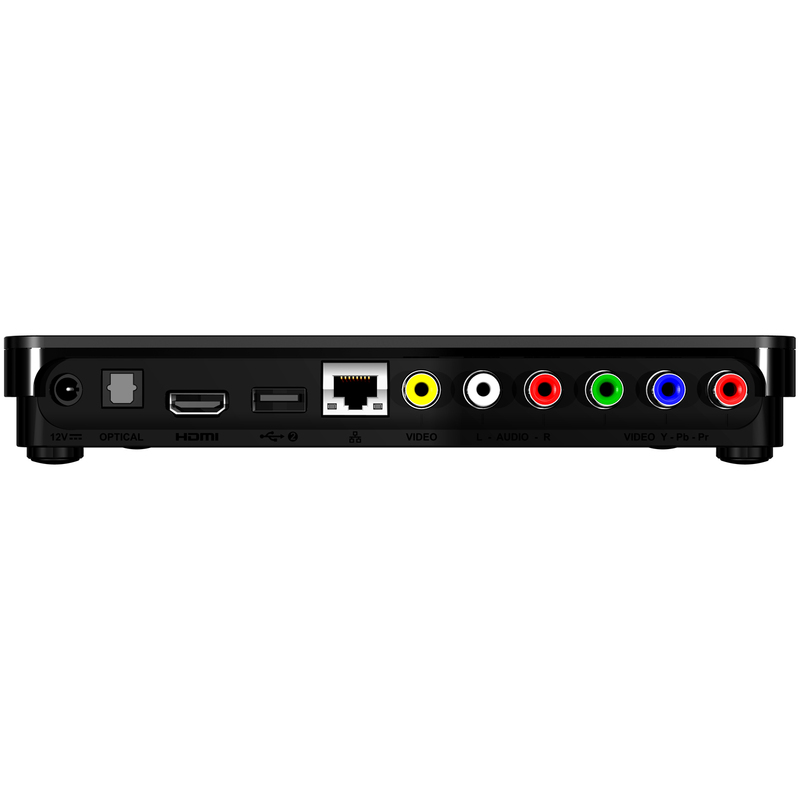 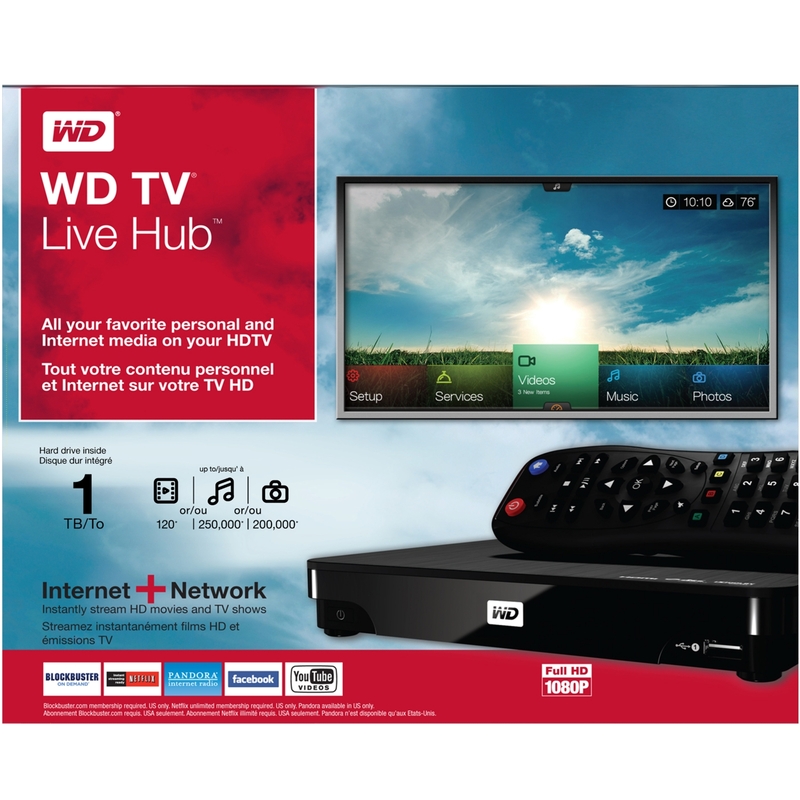 The TV Live Hub media center has a compact design, comes with customizable user interface and programmable remote and includes composite and optical audio connectors, Gigabit Ethernet, two USB 2.0, HDMI 1.4 port, it is backed by one year warranty and cost $199.99.